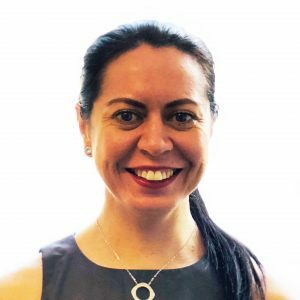 AMMA Head of East Coast Workplace Relations Leyla Sandeman (pictured) examines how an employer’s bid to implement two new enterprise agreements recently came unstuck at the Fair Work Commission (FWC) due to various flaws in the HR team’s approach. The findings of the FWC highlighted the failure of construction company Georgiou Group to properly explain what it described as “baseline agreements” or provide employees with access to the relevant awards. The employer was seeking to simultaneously replace two enterprise agreements covering its workforce, divided into ‘Operations’ and ‘Trades and Services’ employees. In refusing to approve the two enterprise agreements, covering almost 200 employees across both employee groups, FWC Deputy President Abbey Beaumont concluded they were not genuinely agreed due to the company’s flawed approach to explaining them. Given the two enterprise agreements had similar content and were negotiated and communicated to employees in parallel, the approval applications were heard together. In April and May last year, Georgiou Group’s National HR Manager and Senior HR Advisor held a series of roadshows to explain the terms of the two new enterprise agreements. This included a comparison of each clause in the old and new enterprise agreements, along with providing business cards that included a QR reader code for the enterprise agreements. Employees were told the enterprise agreements were “baseline” and rates would depend on the areas in which they worked and market conditions. Employees were told the company would pay them higher hourly rates than the minimums outlined in the proposed enterprise agreements, a move the HR team said was to entice employees to join and stay with the company. In assessing whether the enterprise agreements had been genuinely agreed to, DP Beaumont found the company erred by not providing any detail about the relevant modern awards with which the pay rates in the enterprise agreements were being compared. “Further, the employees were not provided with access to the relevant modern awards, whether via the provision of an email hyperlink, attachment or hard copy version of the relevant modern award,” she said. The company conceded it did not give employees a physical copy of ‘any award’ or guide them on how to access the award. DP Beaumont also highlighted that despite the modern awards being readily available, a person must understand which particular award they are covered under, which was not made clear by the employer. “Both an employer and employee must appreciate whether they fall within the remit of its coverage….There was no evidence before me that showed the employees were aware of the award that covered them,” DP Beaumont said. In addition to the failure to properly compare the enterprise agreement terms to modern awards, DP Beaumont identified several terms of the enterprise agreements which appeared to contravene the National Employment Standards (NES). This included long service leave service and annual leave, parental and community service leave and abandonment and termination of employment. It was determined these could largely be remedied by undertakings if not for the finding that the enterprise agreements were not genuinely agreed. It was also determined the enterprise agreements did not pass the Better Off Overall Test (BOOT), for reasons including a lack of clarity on which employees received penalties and “a shift penalty” at 120% that “appeared less than that provided in the relevant awards”. The employer had provided DP Beaumont with eight draft undertakings to address concerns raised, however she said they would “require additional finessing” even if she had found the enterprise agreements were genuinely agreed and approved them. These decisions provide a number of important lessons for employers. Primarily, they emphasise the importance of properly explaining the terms of an enterprise agreement and the effect of those terms to employees prior to a vote, as per the pre-approval process step in s180(5) FW Act. This includes explaining in detail the differences between award and enterprise agreement entitlements where relevant, such as in references made in the enterprise agreement to an award applying or not applying. That the employer’s consultation process lacked this necessary detail was DP Beaumont’s primary reason for finding the enterprise agreements were not genuinely agreed. Secondly, examining the findings of the FWC Full Bench in CPB Contractors Pty Limited (September 28, 2018), DP Beaumont found that a clause in Georgiou Group’s enterprise agreements that indicated they could be overridden by a future project-specific EA, was likely unlawful. This term would have needed to be removed before the enterprise agreements could be approved, she said. Thirdly, DP Beaumont’s findings again reaffirm the need for employers to meticulously ensure compliance with the NES and BOOT. In most cases provisions that contravene the NES and/or BOOT, or that may constitute an unlawful term (such as the “future coverage” clause), are able to be remedied by undertakings. However in this instance, that the enterprise agreements were found not to have been genuinely agreed, due mainly to a flawed employee consultation process, ultimately led to dismissal of the approval applications. The two decisions can be read here and here. AMMA encourages members to take care with enterprise agreement making processes to ensure approval requirements are met. For advice and assistance in enterprise agreement making, including pre-approval steps, employee consultation and ensuring compliance with the NES and BOOT, contact an AMMA consultant at your local AMMA office.